Dimensions 630'3" by 54'6" by 19'6"
1944: Hangar converted to flag quarters. By the end of the war, the light AA armament was 12x3, 16x1 25mm guns and radar had been installed. 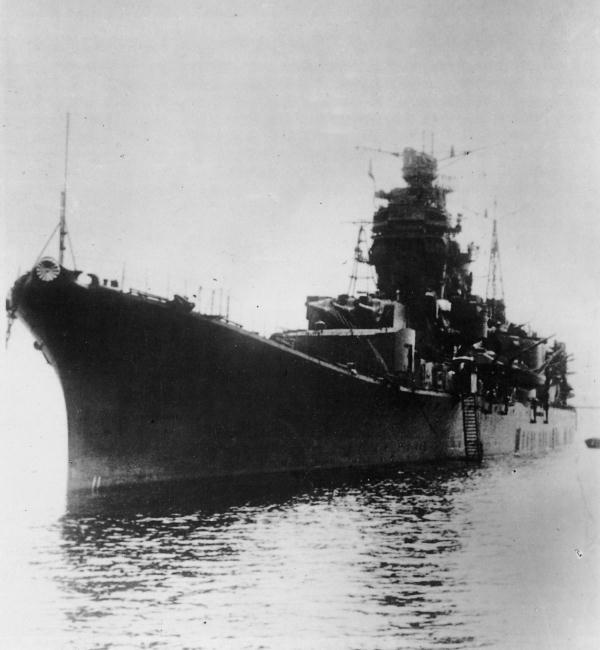 Oyodo was a uniquely Japanese experiment: It was a light cruiser intended to sail with a submarine squadron and provide reconnaissance. Its main armament was crowded into two triple turrets forward to leave room aft for a hangar capable of holding 4 large seaplanes, with deck stowage for two more. However, the E15K1 program was unsuccessful and only two E13A Jake seaplanes were ever shipped operationally. With the main turrets crowded forward, a separate armored box was provided for the magazines. The ship otherwise resembled an Agano. Oyodo was the only ship of its class, a sister (Niyodo) being canceled before being laid down. 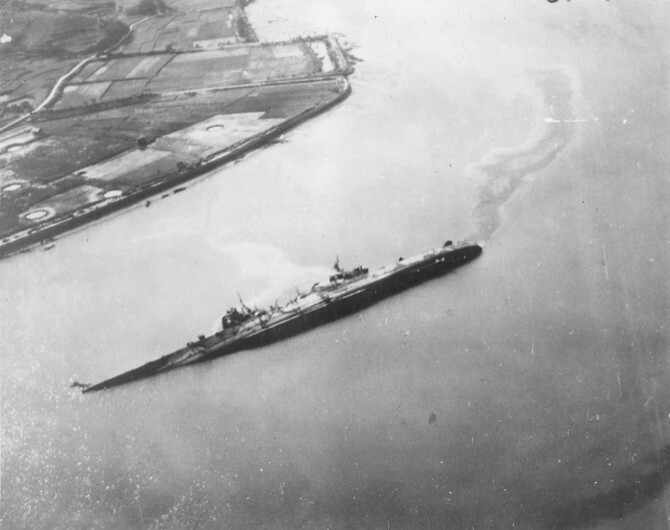 Oyodo herself was commissioned on 28 February 1943. The ship had the centerline bulkhead found in many Japanese warships, and fears that this bulkhead was counterproductive were realized on 28-29 July 1945 at Kure. Very near misses from aircraft flooded the starboard machinery spaces and capsized the ship before counterflooding could take effect. She sank the next day.